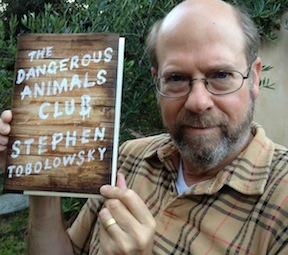 This is a re-podcast of episode 36 from May 2011 in celebration of Stephen Tobolowsky’s new book, The Dangerous Animals Club. Stephen is an amazing storyteller, and was an excellent and gracious guest. Please check out his new book! 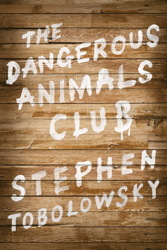 The Dangerous Animals Club encompasses stories in the first twenty-five Tobolowsky Files podcasts with new material and presented in a literary form. The book includes favorites such as The Alchemist, Conference Hour, and It’s Not my Dog. The early reviews are positive. You can see them, and more about the book here. You can also watch a video of Stephen talking about the book here. They also have a clip from the audio version of the book! 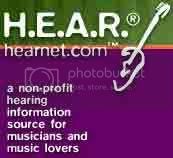 You can listen that here. Audiobook (read by me! ): iTunes, and Audible. Stephen Tobolowsky is a master storyteller, an actor appearing in over 150 movies and TV shows, and is a man with a remarkable musical background. 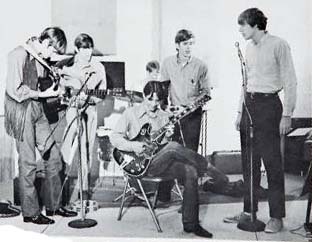 We talk to Stephen about his upbringing, his early band Cast of Thousands who recorded with a young Stevie Ray Vaughan, and his friendship with Jimmie Vaughan on the set of Great Balls of Fire. 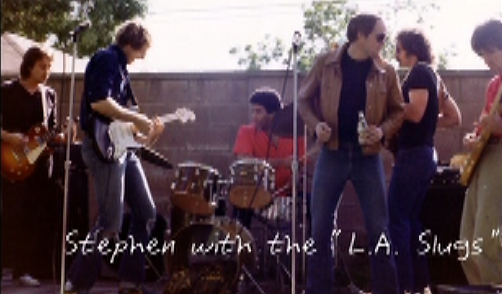 Stephen also talks about his band L.A. Slugs, his film writing work with musician David Byrne, and we listen to Stephen tell many other great tales. When he’s not listening to Shubert, Haydn, or Nine Inch Nails, he is probably busy recording fascinating stories for his podcast The Tobolowsky Files hosted by David Chen at /Film, which is a spin-off of his outstanding storytelling movie Stephen Tobolowsky’s Birthday Party.